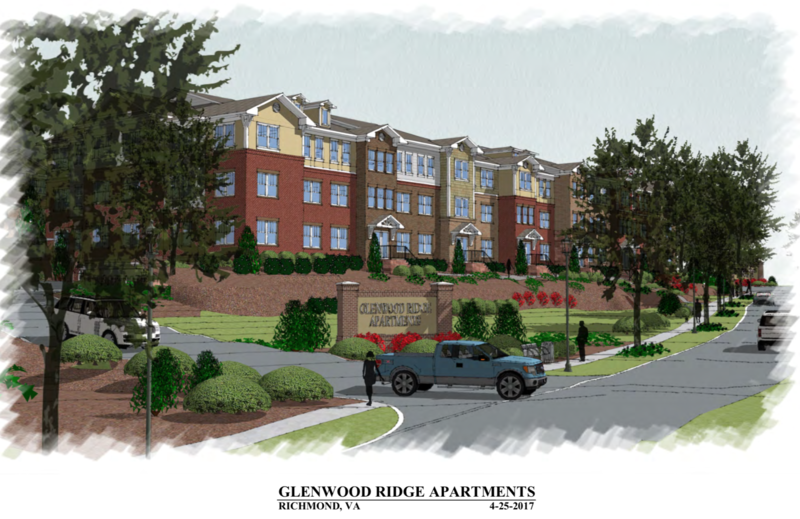 Three area civic associations points of contact on the proposed Glenwood Ridge Apartments. “Due to strong public comment on the demolition of the trolley barn and the adverse effects to the adjacent historic neighborhoods, the city has decided to finally make the 3 local neighborhood associations official consulting parties. If you have ideas on how best the developer can offset the adverse effects, your point of contact is the president of your neighborhood association. The 2 main things on the Associations agenda are to extend the arbitrary deadline of 11/18 and to include the Oakwood-Chimborazo Historic District in the DRAFT MOA. The historic preservation officer concluded the neighborhood will be adversely impacted by the demolition of the trolley barn and that steps should be taken to offset this. If your greater concern is the apartment complex, then requests like Gas Lights and Brick Sidewalks would be good examples. Did anyone ever hear back anything from Cynthia Newbille, Mark Olinger, or the HUD contact re: projected tax revenue (or, more likely, lack thereof) from this facility and its 82 units?Still very curious how its builders being a nonprofit is going to impact their requirement to pay taxes towards the systems (schools, police department) this development will be further straining. I believe Cynthia was to have known this (didnt) and I assumed it went on her To Do list. I believe she has to respond if you email her directly. Perhaps Mark Olinger as well. Wait. Cynthia has a To Do List? #2 – Mr. Olinger’s pretty good about responding to emails. My experience with our council rep is that she isn’t pretty good about responding to emails. NO..the Greater Fulton Civic Association decided in a formal vote NOT to take a position on this project. PLease change your post. That vote took place this last Tuesday. We, as an Association do not have a position and have notified the City Planning Director by email and first class mail. You’ll see below that the meeting was held yesterday at City Hall. The 3 hour meeting resulted in the need to call for another meeting. The ACHP, who presided over the meeting, made the determination that questions remain that (under section 106) require resolution. The ACHP will be sending the city a recap and then another meeting will be scheduled. The Developer was agitated and at the end of the meeting became visibly angry at the result. If it all works out, we will be asking to see additional renderings that call for greater usage of the trolley barn, a smaller footprint and overall unit count. Were are also seeking clarification on the definition of “reasonably forseable and cumulative indirect adverse effects” to Oakwood and Chimborazo. This will help us to ask for fair mitigation to atone for the loss. This Hot Button topic just seemed to have faded away, as so many topics do that fall below the viewable topic post line. Out of sight, out of mind and, short attention spans. What is the status of this development? is it still moving forward? What accommodations have the developer / city gave to make this project more appealing? Please give any and all updates to this project and subsequent info regarding it.